The clouds are parting and the sunshine is pouring through while I write this, as forecasters assure us that we are in for a sustained period of summer weather. Yes, it’s officially Ice Cream Weather. Caroline’s Dairy makes fantastic tasting ice cream from the dairy cows on their farm in Siddlesham. Caroline has won many awards, is driven to making the best ice cream, and is making a huge success of running a dairy farm – no mean feat in the curent climate. 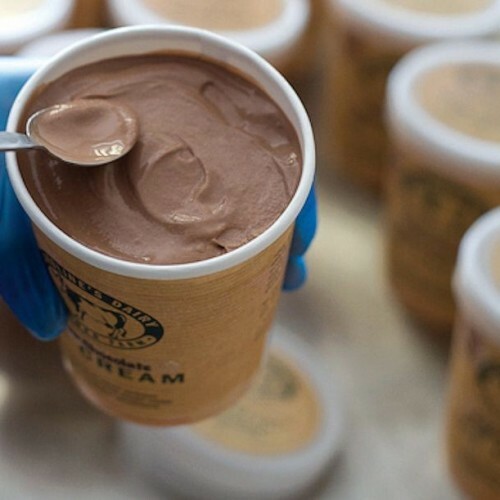 You can read about the ups and downs of the farm on their blog, or find out more about their ice cream. We stock a good range, including Royal Bourbon Vanilla, Fresh Strawberry, Belgian Chocolate and Honey & Ginger. We also stock another great local ice cream from Bere Dairy in Fareham. Robert hand makes his own ice creams, with more unusual flavours such as Rum & Raisin, English Peppermint & Chocolate, and Lemon Curd. We also have fruit lollies and other refreshing goodies for the hot weather.